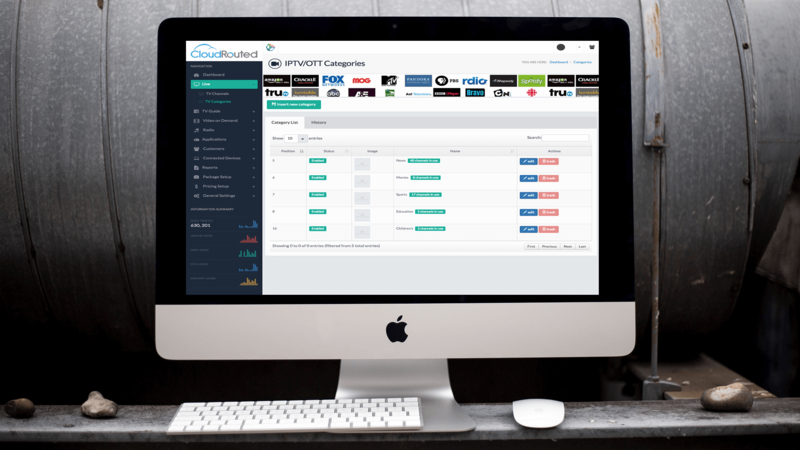 Get Started with your OTT / IPTV solution now with CloudWare! There is a multitude of other features and functions that you would expect from a complete Middleware Solution. Such as Radio Stations, User Management, Application Management for third party applications, Comprehensive Reporting, Package Setup an Designation, Pricing Management and Assignments, and over-all General settings to completely configure Global Options within your environment. 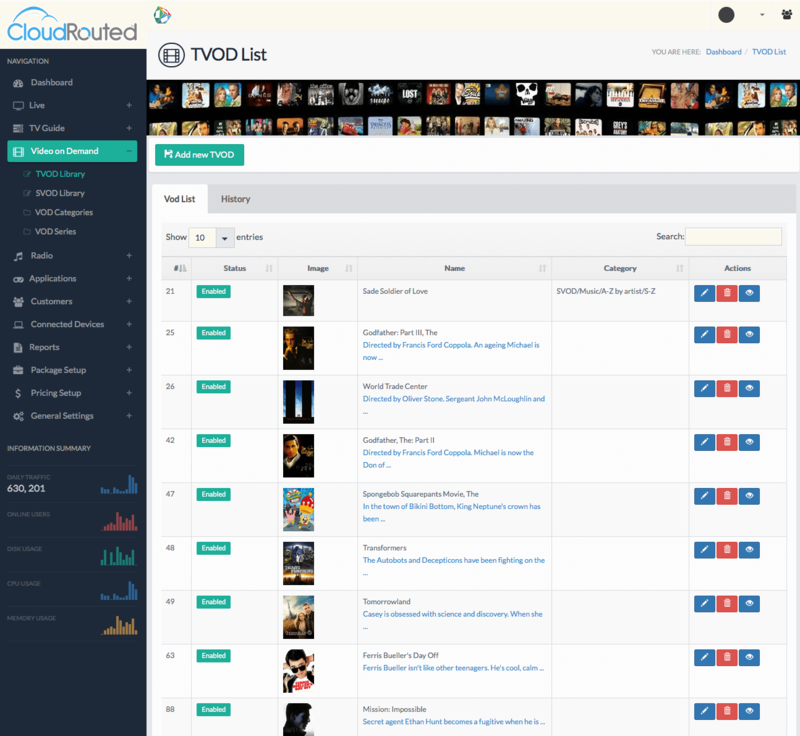 The below feature set is a small representation of the CloudWare OTT / IPTV Solution. Deployment options consist of being in our state of the Art Facilities, with automated backups, fail-over and automated restores for any hardware failures or we can install on Premise. 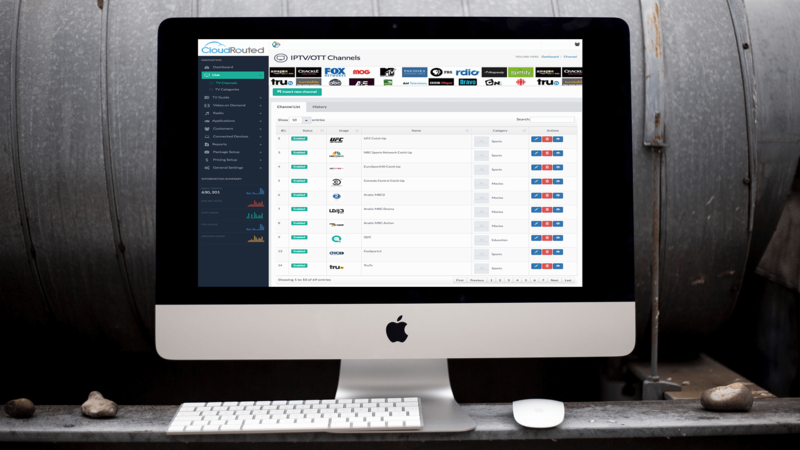 We can also include approved content, PRIVATE CDN Delivery, making us one of the most Comprehensive OTT / IPTV Solutions providers on the Internet today. Get in touch with us to schedule a complete walk through of what we can offer to meet your individual company needs. Coupled with a simple menu action item detail that puts control right at your fingertips! Have a lot of channels? No sweat! We will import them for free! 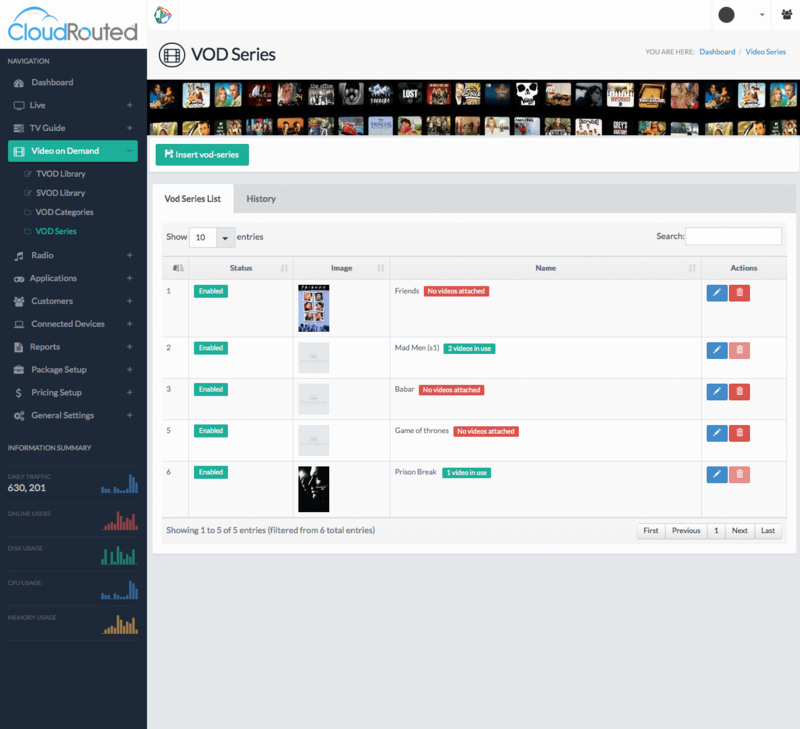 Categories is a powerful feature within any Middlware – CloudWare takes categories to another level allowing you to have full control over your category layout and channel designation. 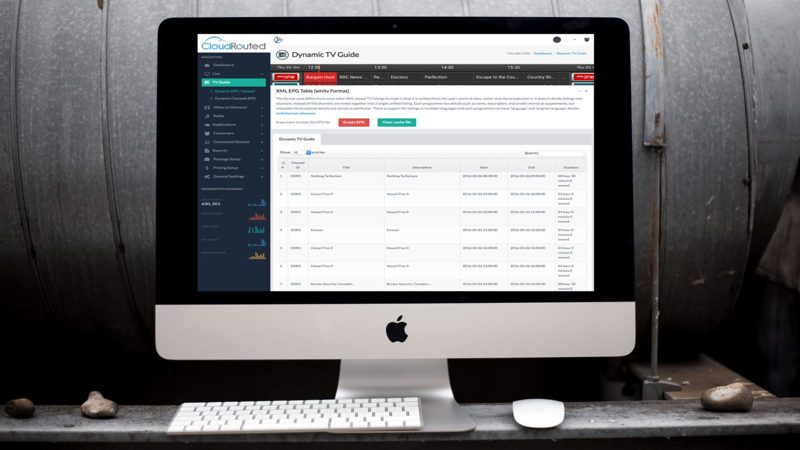 With CloudWare XML EPG using dynamic upload has never been easier. Any data inserted in the CloudWare EPG Table will automatically populate in our CloudApp for Android with additional control functions. 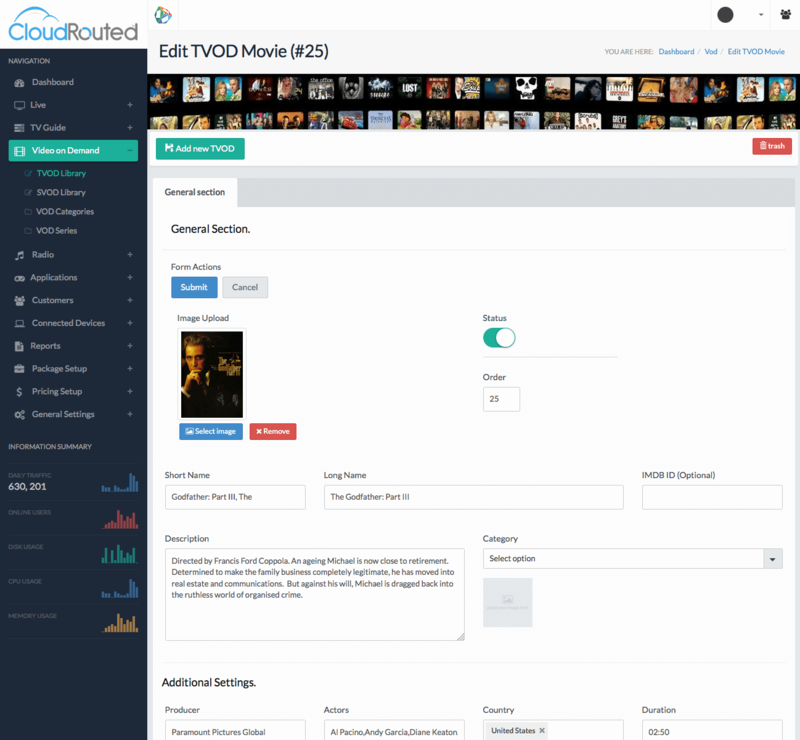 CloudWare VOD is one of the most exciting features of the CloudWare Middleware for OTT / IPTV – couple this with our CloudApp and HLSCDN delivery and you have one of the most exciting, functioning VOD systems on the internet. 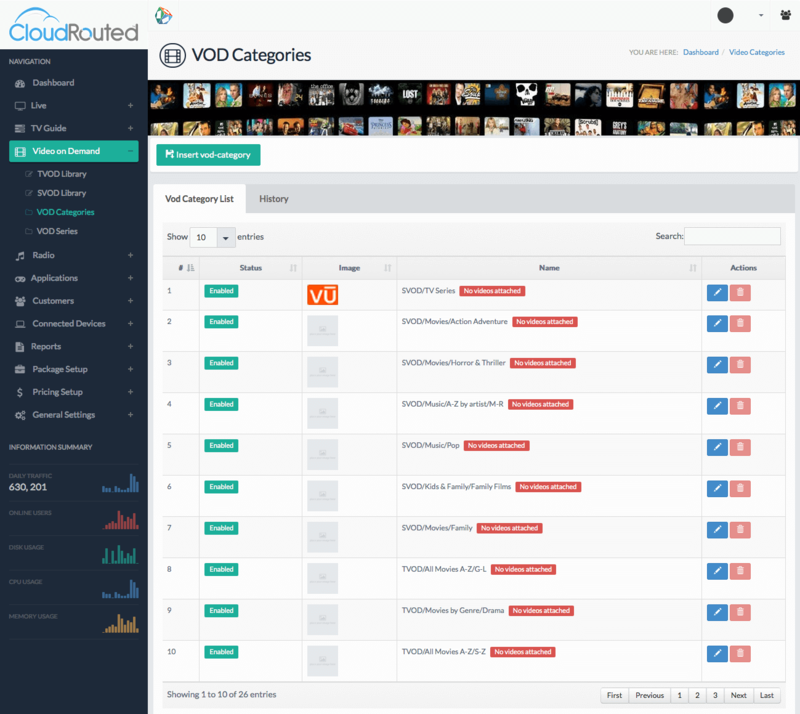 Definitely a jam packed VOD solution that was well thought out and planned.